A year ago President Ford chose Maj. Gen. Harold R. Parfitt, a veteran of World War II, Korea and Vietnam, to be governor of the Panama Canal Zone...Parfitt’s life as governor (at a salary of $37,800) is a far cry from his hard-scrabble beginnings in Coaldale, Pa., where his father was a miner. A year ago President Ford chose Maj. Gen. Harold R. Parfitt, a veteran of World War II, Korea and Vietnam, to be governor of the Panama Canal Zone. By comparison, observes the trim, 54-year-old West Point graduate, the wars were a piece of cake. Traditionally awarded to a senior officer in the Army Corps of Engineers, the dual assignment as Canal Zone governor and president of the Panama Canal Co. was once regarded as among the plushest the armed services offered. No more. For the past two years the U.S. and Panama have been wrangling over a new treaty to replace the outmoded pact of 1903, which bisected Panama and gave the U.S. perpetual control over the 10-by-51-mile Canal Zone. Since treaty negotiations began, the zone has been the scene of Panamanian nationalist agitation, low morale among the canal’s approximately 3,700 American employees, charges of discrimination in housing and schools, and growing financial distress. “This is probably the most challenging assignment I’ve ever had,” says the understating Parfitt. A reminder of the carefree old days is the gubernatorial mansion where Parfitt and his wife, Patricia, live in a setting of tropical splendor. The handsome residence at Balboa Heights is the hub of the zone’s social life. “There are a lot of clubs and organizations that consider it their home, and we agree,” says the governor. “The downstairs is theirs. The upstairs is ours.” The two Parfitt daughters, Karen, 19, a junior at Southern Methodist, and Beverley, 16, who also attends school in Dallas, vacation in the Canal Zone. The President today announced his intention to nominate Major General Harold R. Parfitt, of Coaldale, Pennsylvania to be Governor of the Canal Zone. He will succeed Major General David S. Parker who is retiring. Major General Parfitt is presently Commanding General, United States Army Engineer Center/Commandant, United States Army Engineer School. From December 1969 to August 1973, he was Division Engineer, United States Army Engineer Division, Southwest, Dallas, Texas. He was Commanding Officer, 20th Engineer Brigade in Vietnam from November 1968 to November 1969. In June 1965 he became Lieutenant Governor of the Canal Zone and Vice President of the Panama Canal Company in Balboa Heights, Canal Zone, serving until September 1968. He was Deputy and later District Engineer of the Engineer Division, South Atlantic, in Jacksonville, Florida from August 1962 to May 1965. Major General Parfitt was born on August 6, 1921, in Coaldale, Penns ylvania. He received his B.S. degree from the United States Military Academy in 1943 and his M. S. degree from the Mas sachusetts Institute of Technology in 1948. He attended the United States Army Command and General Staff College and the Canadian National Defense College. Major General Parfitt is the recipient of the Distinguished Service Medal, the Purple Heart and the Legion of Merit, with Oak Leaf Cluster. Major General Parfitt is married to the former Patricia Scully and they have two children. Harold Parffitt was born in Coaldale, Pennsylvania, on August 6, 1921, the son of William Parfitt and Elizabeth Patterson Parfitt. He graduated from the United States Military Academy at West Point in 1943; graduated from the Massachusetts Institute of Technology in 1948; graduated from the Command and General Staff College in 1955; Canadian National Defense College in 1962; and from an advanced management program at Harvard in 1967. He married Patricia Rose Scully on June 4, 1955. 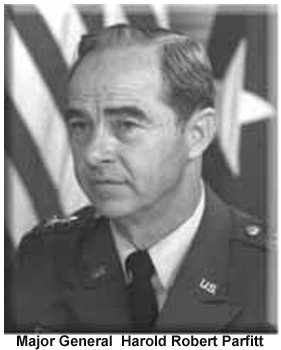 Parfitt was commissioned second lieutenant of the U.S. Army in 1943; advanced through the ranks to major general in 1971. He served as commanding general, United States Army Engineer Center/ Commandant, United States Engineer School at Fort Belvoir, Virginia, from late 1973 to March 1975. He was Deputy, and later District Engineer of the Engineer Division, South Atlantic, in Jacksonville, Florida, from August 1962 to May 1965. In June 1965, he became lieutenant governor of the Canal Zone and vice president of the Panama Canal Company, serving until September 1968. From December 1969 to August 1973, he was division engineer, U.S. Army Engineer Division, Southwest, Dallas, Texas. Parfitt was commanding officer of the 20th Engineer Brigade in Vietnam from November 1968 to November 1969. Parfitt was appointed as Governor of the Panama Canal Zone on April 1, 1975, and served in that position until September 30, 1979. Under his administration, General Parfitt was more aware of the realities and sensitivities arising from operation of the Panama Canal in Panamanian territory than most other Canal administrators. Much support was given to the learner-apprenticeship programs as vital phase of the Company/Government agencies; recommended the termination of separate school for Latin American students, and changed the housing regulations to consolidate housing formerly assigned separately to U.S. citizens and non-U.S. citizens. Under his government, also, the Canal has its second increase of toll rates in 1976, and the United States and Panama signed the new Panama Canal treaty on September 7, 1977. Parfitt was the last of the governors of the Panama Canal. Major General Harold Robert Parfitt (U.S. Army (Ret.)) (August 6, 1921May 21, 2006), was Governor of the Panama Canal Zone from 1975 to 1979. MG Parfitt was born in Coaldale, Pennsylvania[disambiguation needed], on August 6, 1921, the son of William Parfitt and Elizabeth (Patterson) Parfitt. He graduated from the United States Military Academy at West Point in 1943; graduated from the Massachusetts Institute of Technology in 1948; graduated from the Command and General Staff College in 1955; Canadian National Defense College in 1962; and from an advanced management program at Harvard in 1967. He married Patricia Rose Scully on June 4, 1955. Parfitt was commissioned second lieutenant of the United States Army in 1943; advanced through the ranks to major general in 1971. He served as commanding general, United States Army Engineer Center/Commandant, United States Engineer School at Fort Belvoir, Virginia, from late 1973 to March 1975. Parfitt was appointed as Governor of the Panama Canal Zone on April 1, 1975, and served in that position until September 30, 1979. He was the last U.S. governor of this region, as the post was abolished and replaced with the Panama Canal Commission. Parfett died on May 21, 2006. He is the father of Karen Hughes, who was a close advisor to president George W. Bush. 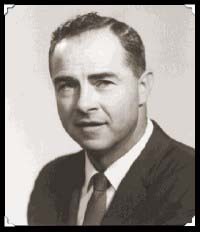 Harold Robert Parfitt was born on 6 Aug 1921 in Coaldale, PA, to Elizabeth and William Parfitt, who raised Hal and his brother Bill to respect the values of hard work, responsibility, education, and to love God and country. Hal was smart and athletic. His excellence in track and basketball ultimately led to an athletic scholarship to Kutztown State Teacher College. Within a year at Kutztown, he was offered an appointment to West Point, which he eagerly accepted. He attended Sullivan Prep School in Washington, DC, and entered the Academy on 1 Jul 1940 with the Class of 1944, which graduated a year early as the Class of June 1943. His academic and other talents continued to prevail. He became a cadet captain and was commissioned in the Army Corps of Engineers upon graduation. Hal soon was in England and led an Engineer Platoon of the 147th Engineer Combat Battalion onto Omaha Beach. He was wounded and sent to England for surgery and rehab, prior to joining the 149th ECB for the remainder of World War II in Europe. On 27 Nov 1945, Hal returned to West Point for a two-year stint and then attended MIT to earn a master's degree in engineering. In 1948, Hal went from MIT to Headquarters, Eighth Army, Japan, where he volunteered to serve in Korea. He joined the 2nd Engineer Combat Group and then com­manded the heavily engaged 8th Engineer Battalion, 1st Cavalry Division. Hal was among the first of his peers to be promoted to lieutenant colonel. In March 1952, he was assigned to the Engineer School at Ft. Belvoir, where he met Patricia Rose Scully. Hal invited Pat to a golf exhibition a month hence. After she accepted, he asked her to dinner, this time only two weeks hence. In the midst of this courtship, Hal was selected to attend Command and General Staff College at Ft. Leavenworth, KS. Two weeks before the course ended, Hal was back at Ft. Belvoir to marry Pat. Then, he hastily returned to Ft. Leavenworth to finish school, take a honeymoon, and report to their next duty at Supreme Headquarters, Allied Powers Europe in Paris. Hal and Pat spent three years in Paris and welcomed daughter Karen into the family. Next, the Parfitts moved to the Engineer Supply Center, St. Louis, MO, and present­ed Karen with a sister, Beverly. In 1961, Hal was selected to attend the Canadian National Defense College, after which began 17 years of increasingly demanding Engineer branch command duties, including Viet Nam, com­manding general of the Engineer Center, Ft. Belvoir, VA, and, finally, Governor of the Panama Canal Zone and President of the Panama Canal Company. The only break in these key Engineer command assignments came with his 13-week attendance at the Harvard Executive Management Course. In 1968, Hal's promotion to brigadier gen­eral assured his assignment to Viet Nam and to his third war. As commanding general of the 20th Engineer brigade, his three groups in­cluded some 14 battalions and several separate companies. Their mission was to support the combat divisions and to construct and main­tain the lines of communication in the south­ern half of Viet Nam. His exemplary perfor­mance was rewarded with the Distinguished Service Medal and five Air Medals. Hal's final duty as Governor of the Panama Canal Zone deserves special note because during his tenure, President Carter proposed and Congress approved the transfer of the Panama Canal and the Canal Zone to the Government of Panama. The hallmark of Hal's governorship was his concern for the men and women who worked for him during this period of great change, worry, and transition to the future. For their retirement affair, Hal and Pat decided on an event everyone could attend. Hundreds, including children and spouses, filled a large airport hangar and enjoyed a unique and joyful tribute. His two daughters surprised their dad by attending, and Beverly sang Hal's favorite song, "The Impossible Dream," prompting more than a few tears. With Pat by his side, Hal's employees presented a lifesize bronze bust as permanent evidence of their respect. During almost 100 years and numerous governors, there are only two such recognitions: the first governor, George Goethals, and the last governor, Harold Parfitt. Serving as Governor of the Canal Zone was arguably the most difficult and demanding position in the Corps of Engineers, especially during the treaty negotiations that took place during Parfitt's governorship. After 36 years of commissioned service, MG Harold R. Parfitt retired on 1 Oct 1979, the day the new treaty took effect and the po­sition of governor ended. More than two-thirds of his service was in responsible command positions, from lieuten­ant to major general. He fought in three wars and was decorated for valor and performance. He set a standard of excellence rarely met by others but natural for him. After retirement, he enjoyed life in Dallas, TX, visiting family, helping care for his grandson Robert, and par­ticipating in church and Sunday school activi­ties. He and Pat moved to a retirement com­munity, Edgemere, where Pat resides. There is so much more to this man than a series of challenging duties. A humble and reserved person, Hal's leadership strength was his personal example. Impeccable ethics, al­ways precisely dressed, quiet, gentle, friendly, deeply and sincerely concerned for others, he was a leader of character and a true son of West Point. The U.S. Military Academy must be proud of Hal Parfitt, as are the Army, the Corps of Engineers, his classmates, his many friends, and most of all, Pat, Karen, and Beverly. "ESSAYONS"-- Let us try! Hal Parfitt did, and he succeeded. Mr. and Mrs. William Parfitt, 5 West Phillips St., Coaldale, have been informed that their son, Harold, was recently promoted to the rank of Colonel in the United States Army. 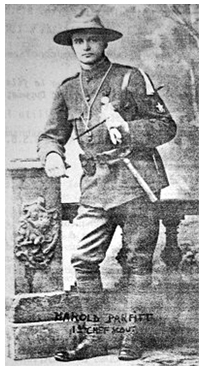 Colonel Parfitt was one of 60 officers picked as "TRULY OUTSTANDING FROM A LIST WHICH CONTAINED MORE THAN FIVE THOUSAND NAMES." Colonel Parfitt and his family returned in August from a three years tour of duty as Executive to the Engineer in Supreme Headquarters in Paris, France. He is currently Specialist Assistant to the Chief in the Engineer Supply Control Office in St. Louis, Mo. Colonel Parfitt completed the regular command and general staff officer course at Fort Leavenworth, Kansas, prior to his assignment in Paris. A member of the ninth postwar class to attend the school, he was instructed in the theory of high command and the techniques of staff officers. A veteran of World War II, he was wounded on D-Day, and holds the Bronze Star Medal, the Commendation Ribbon and the Purple Heart. Prior to his assignment in Paris, he served in Europe from 1944 to 1945 and in the Far East from 1948 to 1951. Colonel Parfitt is a 1938 graduate of the Coaldale High School. He received his Master Degree at the Massachusetts Institute of Technology and in June of 1943 was graduated from West Point Military Academy. He is married to the former Patricia Scully, of Lexington, Ky. The couple has a daughter, Karen Elizabeth. Harold Parfitt, son of Mr. and Mrs. William Parfitt of Coaldale, has been appointed to the United States Military Academy at West Point and will report there to begin training on July 1. 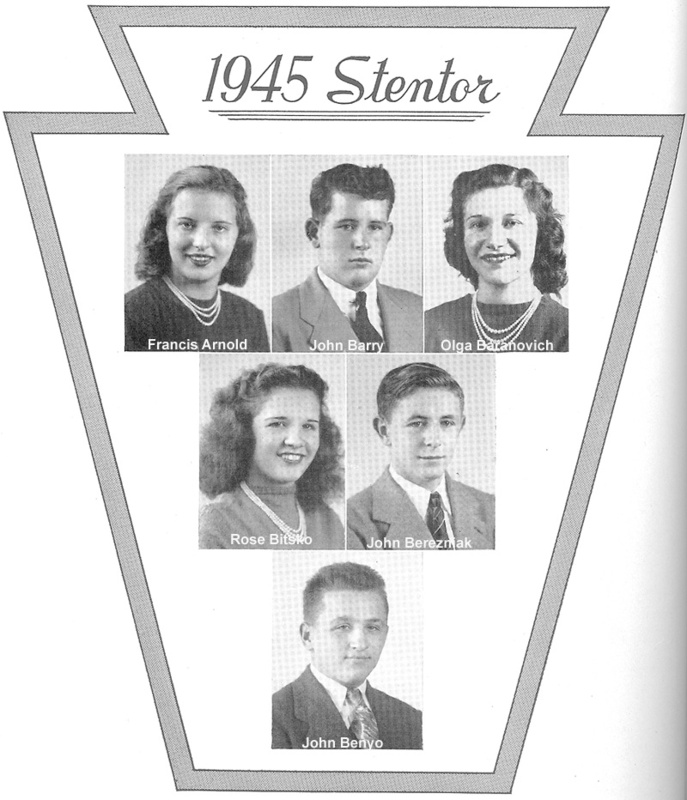 Parfitt, who graduated from Coaldale High School in 1938, took a year of study at Kutztown Teachers College, then, with West Point as his dream, entered the Washington Military Academy. This is the first time in the history of Coaldale that one of the town's young men has won an appointment to either the military or the naval academy. The Class of 1938, (year that Harold Parfitt graduated) is found on the following link. Major General Harold R. Parfitt (US Army - Retired) died of a stroke on May 21 in the Baylor University Hospital in Dallas, Texas. He was 84 years old. Parfitt is best known to Panama as the last governor of the old Canal Zone. Like most of the US presidential appointees who held that post, he came from the US Army Corps of Engineers. A 1943 West Point graduate, Parfitt served in World War II, the Korean War and the Vietnam War. Among the jobs he held in his military career, he was commander of the US Army Engineer Center and also director of the Engineer School at Fort Belvoir, Virginia. He was awarded the Purple Heart, two Legion of Merit medals and two Distinguished Service Medals. Parfitt is survived by two daughters, one of them Undersecretary of State for Public Diplomacy Karen P. Hughes, two grandchildren and one great-grandchild. Fernando Manfredo worked closely with Parfitt, as the former was the deputy Panama Canal administrator in charge of the earlier part of the transition from US to Panamanian control and the latter had the duty of winding up the affairs of the former Canal Zone government. "Parfitt had the responsibility of maintaining the morale of the US employees of the canal after the Panama Canal Treaty was signed," Manfredo recalled. "He had to deal with their anger, their fears, their apprehensions. His most powerful management tool was his genuine leadership. He also played a vital role in making the end of the Canal Zone government, not an act of defeat, but of dignity." The end of the Canal Zone was a traumatic event for many Zonians, and although most had the opportunity to stay on, the majority decided to leave soon after the 1977 Carter-Torrijos Treaties were ratified by both governments. However, a number of the former Canal Zone residents who left, particularly those of the Baby Boom generation, have been returning to Panama to live for a variety of reasons. Although one can find many a Zonian with bitter memories of treaty time, it's hard to find a Zonian with bad things to say about Governor Parfitt. He was a soldier and he did his job, which was to implement a policy decided by the constitutional civilian government of the United States even though it was unpopular in the community he governed. Personally opposed to the US withdrawal from the Canal Zone, Parfitt nevertheless oversaw the dismantling of the American political administration of that enclave in a way that soothed hurt feelings as much as possible under the circumstances. Parfitt's performance as the public servant cast into the middle of controversial events went a long way toward creating the current friendly attitude that the great majority of Panamanians have about Americans. This relationship was not nearly so warm when duty took him to the isthmus. Harold Parfitt was born in Coaldale, Pennsylvania, on August 6, 1921, the son of William Parfitt and Elizabeth (Patterson) Parfitt. 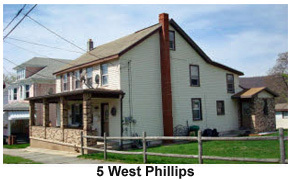 Original home was renovated thru the years. The corner property is on Phillips and Fourth Street.